April Fool’s Day is today! The custom of April Fool’s Day may have begun in France in the 1500’s. Before then, New Year’s started on March 25th and ended April 1st. People gave gifts on April 1st to mark the beginning of the new year. Then New Year was moved to January 1st, but some people still gave gifts on April 1st as jokes. The custom spread to Britain in the eighteenth century and then to other countries. John Morton died in 1777. His date of birth is unknown. Active in politics, he was elected from Pennsylvania to serve in both the First Continental Congress and the Second Continental Congress. He signed the Declaration of Independence, and he was part of the committee that wrote the Articles of Confederation. He was the first Declaration of Independence signer to die. Oliver Pollock created the dollar sign ($) in 1778. San Antonio Missions National Historical Park was established in 1983. Five Spanish missions were created around 1690 to 1720 in what is now San Antonio, Texas. Today four of the missions are part of the San Antonio Missions National Historical Park. 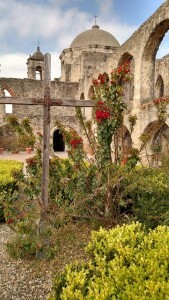 The sites include Mission Concepción, Mission San José, Mission San Juan Capistrano, and Mission Espada. The fifth mission is the Alamo, administered by the Texas General Land Office. On July 25, 1915, the five missions became a UNESCO World Heritage site. Children can learn more at: http://www.nps.gov/saan/index.htm. William Harvey (born Folkestone, Kent, England, 1578; died London, England, June 3, 1657) discovered how blood circulated in mammals. Prior to his work, many scientists believed the liver changed food to blood and the body consumed that blood. Through experiments and observations, he found that the heart acts like a pump and that blood moves through veins and arteries, forming a closed system of circulation. Wangari Maathai (born Ihithe Village, Kenya, 1940; died Niarobi, Kenya, September 25, 2011) started the Green Belt Movement in Kenya in the 1970’s. This group taught women how to plant trees. These trees then provided them with income. Often in conflict with Kenya’s government, she began to gain the world’s attention. In 2004 she became the first African woman to receive the Nobel Peace Prize. She was elected to Kenya’s Parliament and served as assistant minister to President Mwai Kibaki. Children coud read Mama Miti: Wangari Maathai and the Trees of Kenya, written by Donna Jo Napoli and illustrated by Kadir Nelson. Anne McCaffrey (born Cambridge, Massachusetts, 1926; died Wicklow, Ireland, November 21, 2011) wrote science fiction books for children. She is perhaps best known for her Dragonriders of Pern series. Sergei Vasilievich Rachmaninoff (born Semyonovo, Russia, 1873; died Beverly Hills, California, March 28, 1943) was a Russian composer, conductor and pianist. He composed at least 45 major works. He moved to the United States in order to escape the Bolshevik Revolution and eventually became an American citizen. Experts state his compositions reflect a romantic style influenced by his Russian heritage. Idea: Russians celebrate birthdays by making one-crust pies. Make a birthday pie. Eat pieces of the pie and listen to Rachmaninoff’s music. Jagjivan Ram (born Chandwa, Bihar, India, 1908; died New Delhi, India, July 6, 1986) worked closely with Gandhi and Nehru to gain India’s independence from Great Britain. Ram, born into the “untouchable” caste, was one of the first “untouchables” to graduate from college. He labored to eliminate the caste system and served in various cabinet positions in the new Indian government. Libby Riddles (born Madison, Wisconsin, 1956) in 1985 was the first woman to win the 1,135-mile Iditerod. Children can read about her activities at: Libby Riddles. Jan Boyer Wahl (born Columbus, Ohio, 1933) writes books for children. His books include Jamie’s Tiger and Grandmother Told Me. International Children’s Book Day honors Hans Christian Andersen’s birthday. The International Board on Books for Young Readers (IBBY) sponsors the event. Children could learn more at: http://www.ibby.org/index.php?id=269. Ponce de Leon discovered Florida in 1513. Juan Ponce de Leon had been on Columbus’s second voyage to the New World. Later he was commissioned by King Ferdinand to find Bimini, a legendary island that held the fountain of youth. At first Ponce de Leon thought Florida was an island. Because the area grew such lush vegetation, Ponce de Leon named it Florida, meaning full of flowers. He was killed by natives in 1521 when he tried to return to Florida to establish a colony. Children can learn more at: Ponce de Leon. 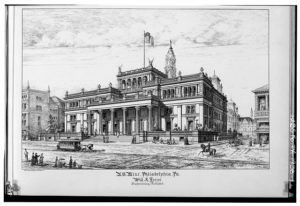 First United States mint was established in Philadelphia in 1792. It produced silver half-dismes and dismes (now spelled dimes). The mint is still active, and other mints are functioning in Denver and San Francisco. Children could visit the mint’s website, particularly the games section, at: http://www.usmint.gov/kids. Idea: Children could debate the idea of eliminating the production of the penny. Hans Christian Andersen (born Odense, Denmark, 1805; died Copenhagen, Denmark, August 4, 1875) wrote 168 stories and fairy tales. Born the son of a poor shoemaker, he moved to Copenhagen when he was 14. He wrote his first story in 1835. Famous stories include The Little Mermaid, The Emperor’s New Clothes, and The Ugly Duckling. He never married. In Denmark people celebrate birthdays by displaying banners. Students could make banners of Andersen’s various stories. Children can read his stories in a variety of languages at: Project Gutenberg. The Hans Christian Andersen Award, created by the International Board on Books for Young People, is bestowed every two years to the world’s best writers and illustrators of children’s books. Readers could learn more about Hans Christian Andersen and the Han Christian Andersen Award by reading the Children’s Book Award Handbook by Diana F. Marks. Frederic Auguste Bartholdi (born Colmar, Alsace, 1834; died Paris, France, October 4, 1904) designed the Statue of Liberty and actively raised funds for its construction. 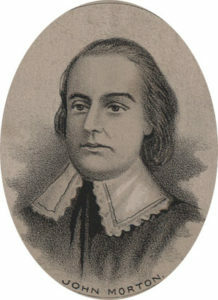 Richard Bassett (born Cecil County, Maryland, 1745; died Maryland, either August 16 or September 15, 1815) represented Delaware at the Constitutional Convention. A former slave owner, he fought in the Revolutionary War. He served in the U.S. Senate from 1789 to 1793. His son-in-law, grandson, and great-grandson also were elected to the U.S. Senate. Charlemagne (born birthplace unknown, 742; died Aauchen in what is now Germany, August 18, 814) became the ruler of the Franks in 768 and thus controlled Western Europe. Before he seized power, Europe was crumbling. “Charles the Great” restored the importance of education, arts, culture, law and order. Ruth Heller (born Winnipeg, Canada, 1923; died San Francisco, California, July, 2004) wrote and illustrated books for children. She created at least 28 coloring books, and her children’s books include Chickens Aren’t the Only Ones and Galapagos Means Tortoises. One classic is The Egyptian Cinderella. Children could learn more at: Ruth Heller. Anne Mazer (born Schenectedy, New York, 1953) has written 45 books for children. Her books include The Salamander Room and The Oxboy. Children could visit her website at: Anne Mazer. Johannes Gutenberg used movable type for the first time in 1451. Prior to his invention, monks and copyists copied books by hand. Therefore, books were rare and expensive. He cast his type from sand molds and adapted woodcut presses to hold his type. Gutenberg is most remembered for his 42-line Bibles, called such because each page was 42 lines long. About 40 such Bibles remain and are extremely valuable. Children could learn more at: Gutenberg.